Randy Seaver, a prolific genealogy blogger, wrote about finding cemetery images on Google Images recently. Naturally I had to try it. I am not sure how it works but searching for “Robert Downing cemetery” brought up his stone, his relatives’ stones, my non Downing relatives’ stones, photos from my blogs of unrelated people, even pictures of me. I guess he is linked to me in their logic. 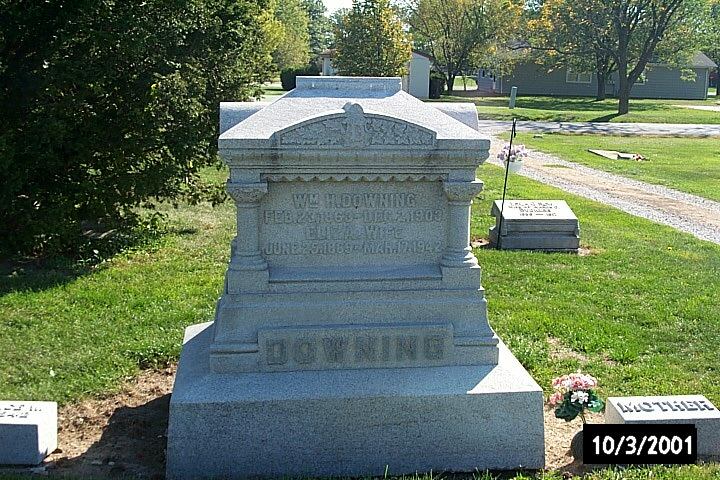 A search for “Samuel Downing cemetery” did not produce a photo of Samuel’s stone which I know is online in several places but it did produce much of the same results as the Robert Downing search. I searched for my name and got pictures of me and people with the same name. Needless to say there are many other photos produced in a search that appear to have no connection to what I searched for. It also produced some of the graphics on my blogs and web pages such as the Geneabloggers logo on this page. If you are looking for that elusive stone, maybe a historical spot, a town, whatever, it is worth a look to see what is online. I recently had a lengthy email correspondence with another transplanted Logan County native. We have different backgrounds and no ancestors in common but when we started talking our ancestors, collaterals and their families brushed at so many spots that I learned new things. This indicates to me it would be worthwhile to expand our somewhat limited view and see what turns up. If you have any connection to these lines or think you might – or know anything that might be interesting – I want to hear from you. This is my maternal grandfather’s direct male line [with spouses]. This is what is used for most DNA, which will come up later. 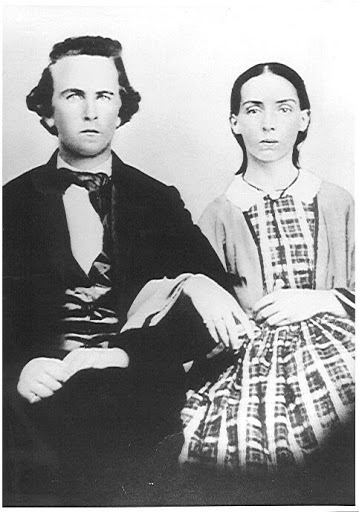 Samuel Downing came to Logan County with his second wife Mary Matthews. Samuel was born in Maryland, lived many years in Ohio and came to Illinois. Mary was born in Ohio. Samuel’s first wife Margaret was Mary’s sister. Samuel’s brother Thomas, members of his assorted families and various members of the Matthews family also came to Logan County. According to family history John Matthews, father of Margaret, Mary and others, was born in Ulster, Ireland. This is important. Samuel’s father and grandfather were also born in Maryland. Note that there are two Downing-Downing marriages. Delilah is the daughter of Robert, son of John, all of Logan County. John came from “Virginia” which, at the time, could be about anywhere. Before his father James he is a blank. Winifred is the daughter of Joseph, another Downing line living in Pike County, Ohio, but Joseph came there from Maryland. Before that he is a blank. To the best of anyone’s knowledge and all research to date, these three lines are not related. Enter DNA. DNA testing indicates that all three [and one or two others tested] have a common ancestor back about the above Timothy’s grandfather. This totally ruins my theory that they came by UFO, a theory which conveniently explains some relatives. Further, testing indicates they came from Ulster. It appears likely, from research in yet another DNA matched line which my ancestors did not marry, that this common ancestor came in through District 96, South Carolina. This will come up again. Sarah Kirby and Humphrey Scroggin were married there. But that’s another line. See, we already have circles. 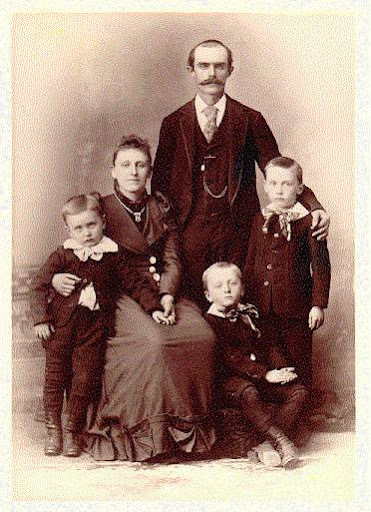 Samuel Downing, my ggg grandfather, was second of 16 children. His immediate younger brother Thomas followed him to Illinois and purchased neighboring land. Thomas had three wives. He apparently had a thing for the number 13 too. [Remember that.] He married Elizabeth Kellison in Pike County, OH, on May 13, 1819. They had five daughters before she died. He married Rebecca Huff in Pike County, OH, on September 13, 1832. They had three children, a daughter and two sons, before she died. 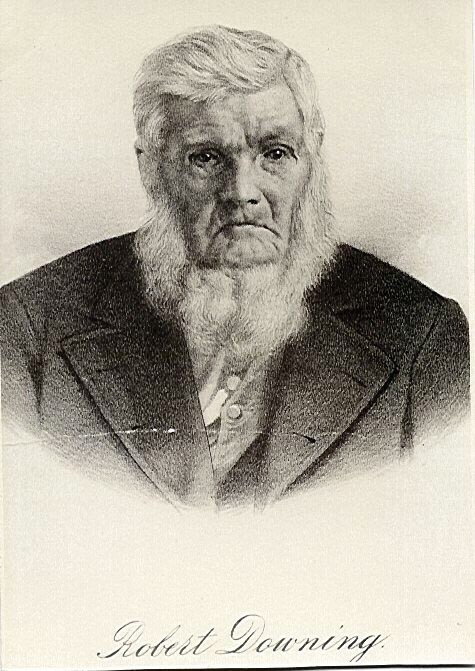 He married Loretta Sherman, who was 17 years younger, on October 13, 1842, in Ohio. They had four children, three daughters and a son. Add it up. Thomas had 12 children, nine daughters and three sons. 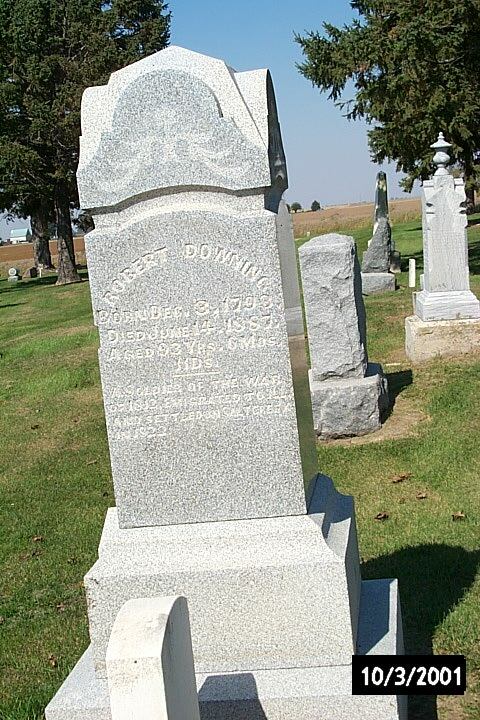 On June 11, 1865, Thomas Downing died in Logan County, Illinois. The original probate documents leave a blank for his widow, list five daughters [Margaret, Nancy, Susan, Mary and Rebecca] and three sons [George, William, Thomas]. Three daughters [Caroline, Elizabeth and Sarah] had died young or at least without heir. The child of the deceased daughter Hannah Downing French is listed. 12 children, all accounted for. Thomas had no will and probate took some time. There apparently was a dispute which resulted in a suit to partition and to assign specific land to Loretta as her dower. It was filed September 23, 1867, more than two years after Thomas’ death. This suit lists the heirs of Thomas as Loretta, the five daughters, the child of Hannah and his FOUR sons George, William T., Thomas and Samuel W.
Samuel W.??? Where did he come from? Samuel W. duly got his share of the estate, specific parcels of land which can be found on 1873 plat maps. Since he was not a minor we can assume he was a child of one of the first two marriages. He is not mentioned in any other documents before or after but he is a very real presence in the probate documents. Samuel, brother of Thomas, died 14 months after Thomas. His son Samuel Wesley inherited a share and controlled more of that estate as guardian for various other heirs. Did the courts get confused when the names were the same and the lands were all in the same area? Are land records wrong?